It has been ages since I wrote any thoughts about a book. The last I can remember was when our Biology professor required us to write an extensive book report about an Ebola-inspired book, The Hot Zone by Richard Preston, which, by the way, I recommend. I can tell you, though, that my thoughts and feelings back then were generally compulsory. Of course that’s a thing of the past, about a decade ago to be exact. While books remain a staple in my daily existence, ironically, I just read when I am not too lazy or when I need a breath of fresh air. In fact, I have a book or two with me every time I go out or during work or even while I watch a movie. That doesn’t mean I always read them, of course. Sometimes, I just need to know that these books are in my bag or in my drawer. But all rules have exceptions, and in my case, it’s the fact I am quite obsessed with the Japanese. My friends and family know this. I even inspired my sisters to be like me. In fact, when you try to check my music or video folders, you will see nothing but Japanese entertainment, mostly rock music, drama, movies and butai (stage plays). Now you might be curious. Why? Because I am a fangirl. Wait, I know you may have ideas of a typical fangirl. Like doing whatever it takes just to get their idol’s merchandises, or see them live, or make them sign their well-rehearsed signatures on your cute little knuckles, or defend their idols from bashers, sometimes even from those people who get attached to them, with tweets such as “Die, biyatch” at the extreme. Those are all true in my case… Except for the last two ones, which are too creepy even for me. I haven’t reached the zenith of fangirl-ism to do such over-the-top moves yet, but who knows? The point is that, this is the reason why I try to dig into the Japanese popular literature. Since traveling to Japan is quite impossible at this moment, for me to feel the popular culture of Japan, I must see, feel, or read whatever is related to that. To demonstrate my point, let me introduce you to this little girl that I met named Totto-chan. Totto-chan wasn’t like most little girls. She was a ball of energy, a bag full of surprises, ready to explore the world. But she was out of control at school so her teachers weren’t happy about her. Within days, she was expelled. Her poor mother had to take her to another one, with fear in her thoughts. Will my daughter be accepted? Totto-chan, curious of her new surroundings and with all those railroad cars around, started to explore her new school again. And then she met a man whom she had an elated conversation with. They talked for many hours. The man seemed genuinely interested in her stories, which made the little girl very happy. The kind and wise man turned out to be the school head master, Sosaku Kobayashi-sensei, and the railroad cars were the classrooms of Tomoe Gakuen. And Totto-chan? She’s actually Tetsuko Kuroyanagi, or simply Totto-chan, a renowned actress in Japan and a UNICEF Ambassadress. She wrote this book, Totto-chan: The Little Girl at the Window, as a dedication to her beloved Kobayashi-sensei and as a memoir of her experiences as a student in a school built during the pre-World War II era. Kobayashi-sensei also let the students swim without swimsuits to teach them that all their bodies are beautiful and also to prevent the handicapped children to develop inferiority complex. Eurhythmics, or training the body to understand rhythm, was an essential training in the school. Passion and creativity were also among the most important traits the school taught its students. 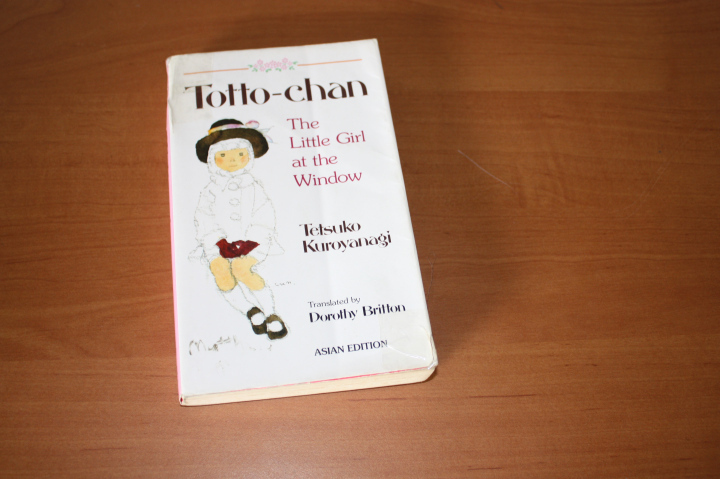 Although Kuroyanagi is not Shakespeare, Totto-chan: The Little Girl at the Window had a huge impact in me. The fact that the book made me dream of an ideal school system that will center on a student’s good traits and development of their talents, while at the same time teaching them to deal with society in a sincere, good-natured, and non-discriminatory manner is testament to its power. Ah, the brilliance of the Japanese. Hi Phoibee! Thanks for reading! Feel free to share anything about your, ahem, passion for Japanese novels and mangas! You can send your stories to contribute@bookbed.org.